El kit incluye:RING(1) y cepillos de SLIP (lote de 2). Interchange Part Number TG17C027B,TG17C027,TG17C021B,TG17C021,TG17C016. Other Part Number TG17C016B,2543293,2543314,2543294. Warranty Yes. Leyes de envío son diferentes en cada país. 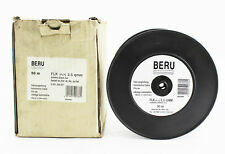 BERU Fahrzeugleitung FLK(FLY) 2,5 QMM 50m. Die Besichtigung vor dem Kauf ist möglich und ist ausdrücklich erwünscht. Senden Sie uns eine Nachricht. · An & Verkauf von Waren alle Art. Rufen Sie uns an. 78553 Canhão de Ignição Peugeot 208 1.6 Allure [1,6 Ltr. Muito obrigado pela sua confiança. ]. Part No : 6PU 009 121-051. With Actuators from HELLA. More driving safety?. With our Radar solutions from HELLA no problem at all! Steering easily with HELLA Electrical Power Steering. The “feel-good” factor inside any vehicle: Interior lighting solutions from HELLA. 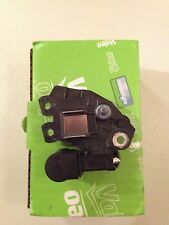 2542582 Valeo, 12V, alternador, 120A, nuevo. 2542685 Valeo, 12V, alternador, 150A, nuevo. 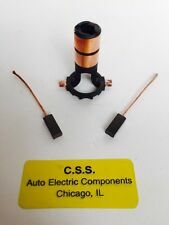 SG12B062 Valeo, 12V, alternador, 120A, nuevo. TG15C018 Valeo, 12V, alternador, 150A, nuevo. SIN SIGNOS DE USAN O DESGASTE EN PARTE O EN LA CAJA. 000-906-32 -22,0009063222, 2618222A, A0009063122, CG20U 025,2618959 414006073,11742. Interchange Part Number 0009063122, A0009063122,11742,439886. Interchange Part Number 000-906-31-22, a0009063122. Other Part Number 000-906-32-22,0009063222,440629, CG20U025. Accesorios de montaje. Aceites de motor. Ropa de moto. Asistencia electrónica de aparcamiento. Equipo de invierno. Bomba de agua. Lámpara de interior. Lámpara de exterior. 78543 Canhão de Ignição Volkswagen Polo IV (9N1)(11.2001->) 1.4 TDI BNM CON LLAVE 4B0905851N As condições de envio são para Portugal continental. Muito obrigado pela sua confiança. 75457 Canhão de Ignição Opel Astra H Berlina (2004->) 1.6 Z 16 XEP CON LLAVE 2421430 N0501881 As condições de envio são para Portugal continental. Muito obrigado pela sua confiança. Jeep Grand Cherokee WJ 1999-2004. We will be very happy to talk and help you to get the compatible / correct parts. Many cars have more than one option, even though the compatibilty info says that it fits your car. DACIA DUSTER de 2010 à 2012. DACIA LOGAN de 2004 à 2012. RENAULT CLIO 2 de 1998 à 2006. RENAULT CLIO CAMPUS de 2006 à 2010. RENAULT KANGOO de 1997 à 2007. 66513 Canhão de Ignição Seat Toledo (1L)(1991->) 1.6 i 1F CON LLAVE 357905851 As condições de envio são para Portugal continental. Muito obrigado pela sua confiança. 71500 Canhão de Ignição Citroen Xsara Berlina (1997->) 2.0 HDi Vivace (66kW) [2,0 Ltr. Muito obrigado pela sua confiança. ]. VE363102 Crankshaft sensor fits AUDI SEAT SKODA VW VE363102 Crankshaft sensor fits AUDI SEAT SKODA VW. NOTE1 : Part Number - VE363102. > EGR Valves. > Air Mass Sensors. > ABS Sensors. The range includes. Referencia : 6954719. Observaciones: CON LLAVE. Vendemos vehículos preseleccionados de nuestra flota asociada. Nós podemos verificar isso. Wir können es überprüfen. CALOTTA SPINTEROGENO IMPIANTO MARELLI FIAT 127 903 71>77 PANDA 850 80>85. FACET 2.8185 28185 - FIAT 9923122 9924842 - MAGNETI MARELLI 71150901. FACET 2.8185. PRODOTTO NUOVO NELLA SUA SCATOLA ORIGINALE FACET. VE363177 Crankshaft sensor fits CITROEN PEUGEOT ROVER FIAT VE363177 Crankshaft sensor fits CITROEN PEUGEOT ROVER FIAT. NOTE1 : Part Number - VE363177. © Rice Rocket. > Throttle Bodies. The Powerspark™ TL300 Pro hi-beam timing light works on most 12 Volt ignition systems. Ideal when setting the ignition timing when installing a Powerspark™ electronic ignition kit or a Powerspark™ distributor. Canhão de Ignição Citroen C5 Berlina (2001->) 2.0 HDi Exclusive [2,0 Ltr. 84281 Canhão de Ignição Citroen C5 Berlina (2001->) 2.0 HDi Exclusive [2,0 Ltr. Muito obrigado pela sua confiança. ]. Sustituye a:Motores de Mazda 8088-24-722, H833-18-X45, Mitsubishi M191T30974, M191T33371, M191T34071, M191T35171, Mitsubishi, Nissan, Infiniti 23312-M1510, MD607283, 23312-Y0511, Suzuki 31320-72031. Manufacturer Part Number 8088-24-722, H833-18-X45,M191T30974, M191T33371. Other Part Number 28100-74260-84,28100-03100, 28100-74260. Warranty Yes. SIN SIGNOS DE USAN O DESGASTE EN PARTE O EN LA CAJA. NO HAY EXCEPCIONES. CAJA DEBE SER LIMPIA Y EN CONDICIONES NUEVAS, ASÍ. SIN SIGNOS DE CUALQUIER INSTALACIÓN O SEÑALES DE CUALQUIER TIPO DE DESGASTE. VE363315 Camshaft sensor fits CITROEN PEUGEOT VE363315 Camshaft sensor fits CITROEN PEUGEOT. NOTE1 : Part Number - VE363315. © Rice Rocket. > Throttle Bodies. Iveco Daily años 1990-1999. La cerradura de ignición llaves NUEVO. Anadir a favoritos. Enlaces útiles. Información importante. 30-799 Krakow. VE363111 Camshaft sensor fits CITROEN for D MAZDA PEUGEOT TOYOTA VE363111 Camshaft sensor fits CITROEN FORD MAZDA PEUGEOT TOYOTA. NOTE1 : Part Number - VE363111. > Lambda Sensors. > Air Mass Sensors. > ABS Sensors. VE363351 Crankshaft sensor fits KIA VE363351 Crankshaft sensor fits KIA. NOTE1 : Part Number - VE363351. © Rice Rocket. > Throttle Bodies. Cilindro de ignición y dos llaves Jeep Wrangler Cherokee Grand Cherokee 5003843 AAK. Cilindro de encendido con dos llaves, inmovilizador pre / no clave fob. 97/06 TJ Wrangler. 93/98 ZJ/ZG Grand Cherokee. Mating parts 6188-0589(HX sealed series). 1.0mm(040). Insulation resistance 100MΩ Min. ORIGINAL OEM - NO BRITTLE CHINESE COPIES. Leak current 100μA Max. after durability tests. Original number. Zündspule: Motorcode J4Q. Pinza del freno trasero. Zündspule: Motorcode J4J. Desviación-/. Zündspule: Bj. bis 12.02 0928-948. bis 12.02 0928-262. Kit protector contra el. Referencia : 3C0905843. Observaciones: COM LLAVE. Nós podemos verificar isso. Wir können es überprüfen. Part Number: VE520263. Car Accessories. Car Care & Accessories. (We can mark the item as a 'gift' if requested to, but we will not declare any different amount). IT & Computing. Outdoor & Leisure. BOSCH: 0221600065. Referencia : 6954720. Nós podemos verificar isso. Wir können es überprüfen.